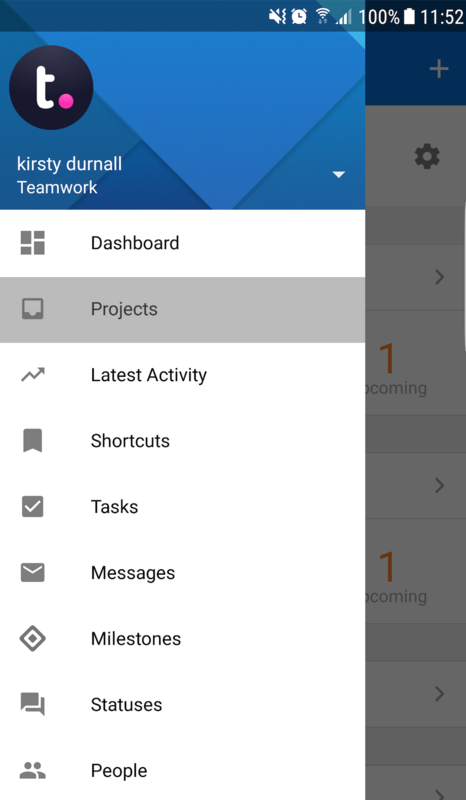 Within Teamwork Projects, you can create new tasks for your projects in the Projects Android app. Tap on the menu icon (three lines) on the top left of your screen to open the sidebar menu. 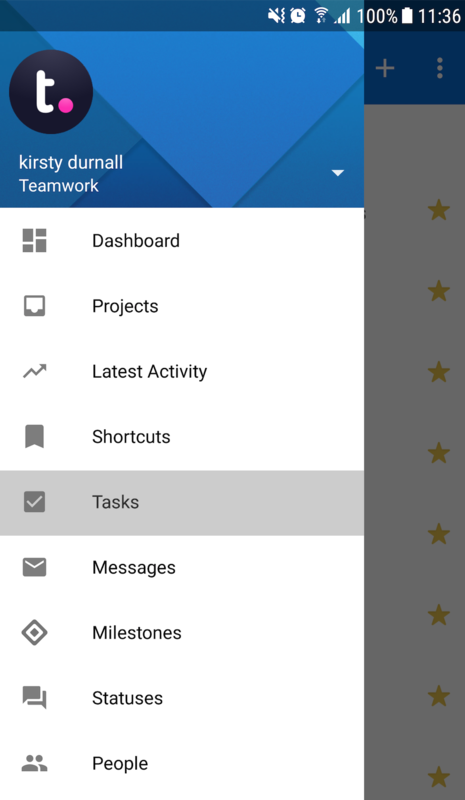 Select the Tasks option in the menu. Tap on the menu icon (three lines) on the top left of your screen, then go to the Projects section. 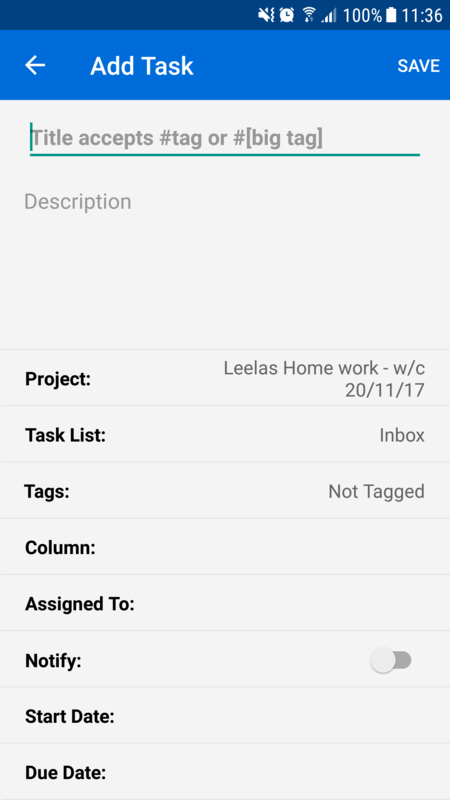 From the projects list, select the project you wish to add a task to and you will see the icons for the different project items and features. 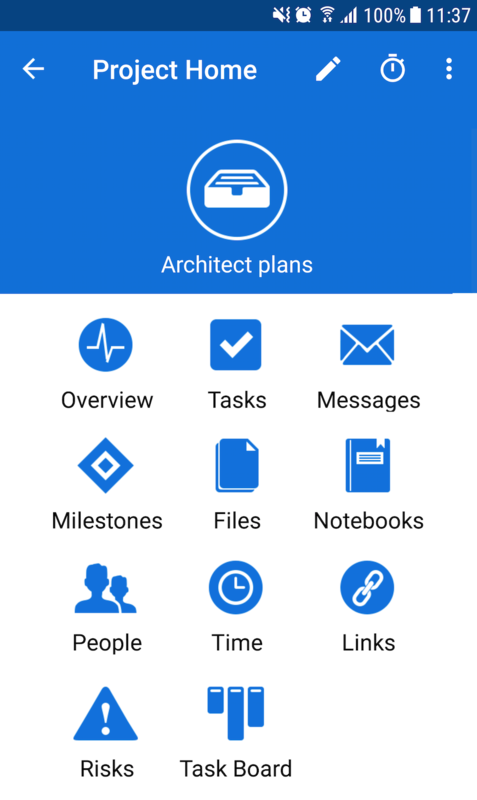 Click the Tasks icon to access the project's current task lists and tasks. 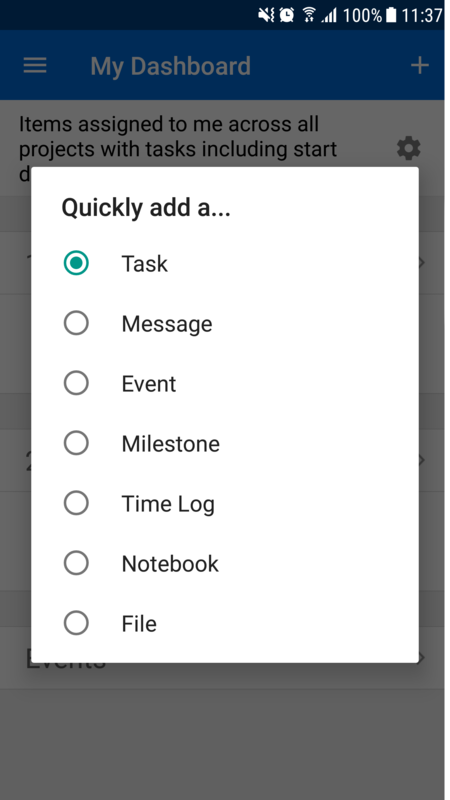 Choose the task list that you wish to add a task to. Scroll down to the bottom of the list and select Add Task, filling out the necessary task details, and click save. You also have the option to create a new task via the + button in the Dashboard tab in the sidebar menu. Again, you will be presented with the Add Task modal where you can add the relevant details before saving the task.